Adams Rite manufactures a series of flush bolts designed to secure the inoperative door in a set of French doors. Their series includes single point flush bolts that are designed for aluminum stile, hollow metal and wood doors. 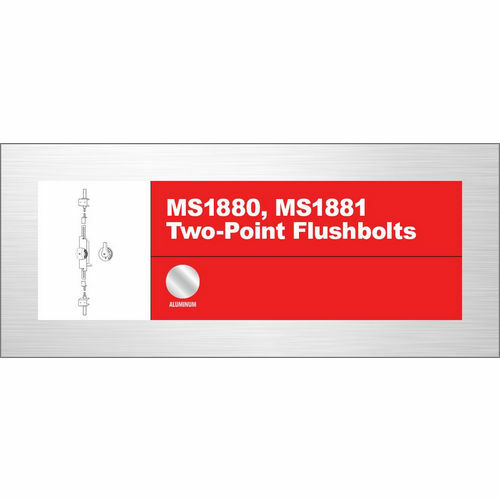 All single point flush bolts can be installed to operate in either the header or the threshold. 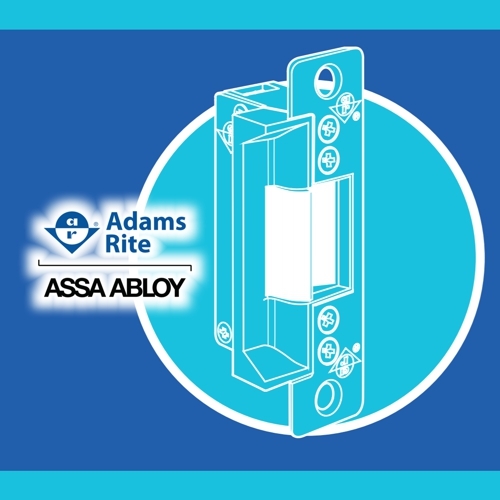 All Adams Rite flush bolts are cylinder operated so they offer more control over the locking than standard flip flush blots. Standard flush bolts can be operated by curious children or by vandals intending to return after business hours. The two point flush bolt engages the door frame in the header and at the threshold for greater security. In addition it has a positive blocking device that makes it impossible to lock the active door unless the flush bolt has been secured. This prevents human error in locking only one door. 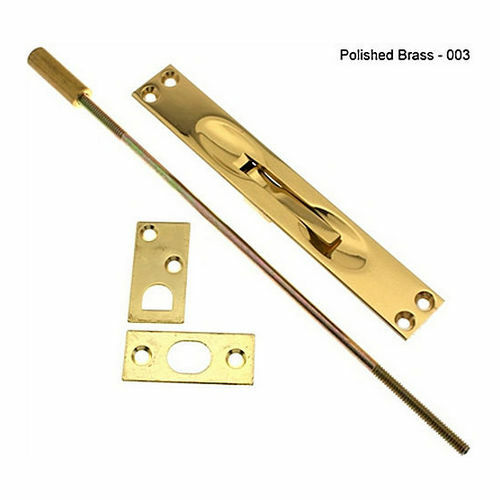 The auto-release model integrates the operation of the flush bolt with the lock of the operational door so that it locks and unlocks along with the operational door. It is designed to operate with any MS pivoting dead lock and is not intended as a standalone locking mechanism. Hexagonal top and bottom bolts are 3/8” flat to flat stainless steel and require a 1/2" diameter strike hole.